January | 2013 | Quilting my way through life! but for Suzn Quilts, Christmas it’s just starting! Take a look at my new Christmas fabrics, thanks to the generous folks at Moda. It’s the new “Christmas Countdown” by Deb Strain. Looks pretty cute with my vintage-looking Christmas tin from my SIL Janet don’t you think? The first project that I’m going to use these fabrics for is a sampler. There is fusible applique & some pieced blocks as well. 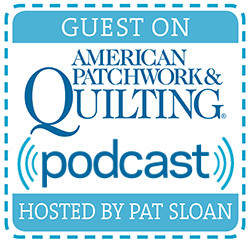 My question to you is what do you think about samplers and block-of-the-month projects??? Since I have a lot of time to think while I’m cutting & sewing, I’m still contemplating the format of this pattern. The body of the quilt is about 45″ x 50″, then I will probably add a border or two. Don’t worry, you don’t have to think about your Christmas sewing projects yet. This collection won’t even be available in shops until June! I’m excited about this new year. For one thing, my favorite number is 13. I don’t know why, it just is. 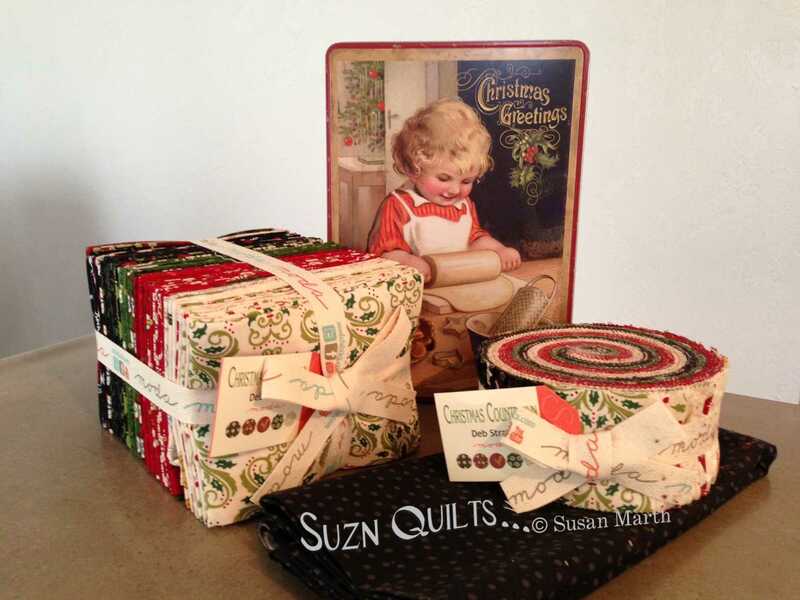 For another thing, Suzn Quilts is 10 years old this year! I have met so many incredible people, traveled to places I’ve never been, and my patterns & designs are being sold around the world! For now, I want to wish you a Happy New Year! May your 2013 be filled with peace, joy & good health.